In conjunction with the holy month of Ramadan, and in-line with Impiana Hotel Ipoh’s vision in sharing and caring for the underprivileged community especially children welfare, Impiana Hotel Ipoh hosted a “Berbuka Puasa” with Anak-Anak Yatim Darussalam on Tuesday , 22 May 2018. The charity event is a partnership with Persatuan Pegawai Kanan MBI, EconSave Jelapang, and Yayasan Abu Bakar. 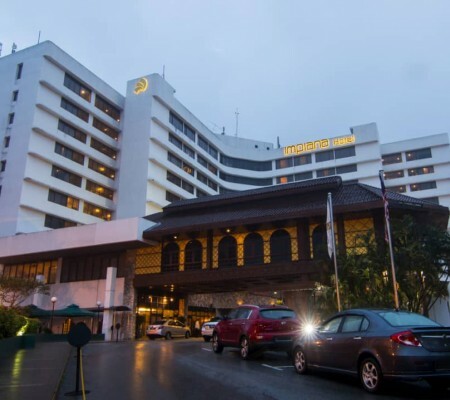 The kids were first taken to EconSave Jelapang for a pre-Raya shopping , followed by a Ramadhan Buffet Dinner at Impiana Hotel Ipoh. The kids also received donations in the form of school bags , later left with face full of happiness and laughter. 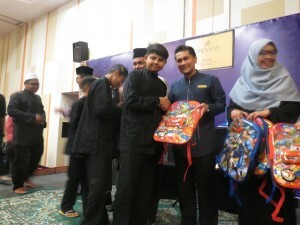 “It’s an Impiana’s DNA to help the underprivileged especially children and orphans, as we contribute towards the necessities they require which we hope these can provide them with a little more happiness towards their preparation for Ramadan and Hari Raya”, said our Impiana Hotel Ipoh’s General Manager, Mr. Gerard Sta Maria.